Sileby Parish Council provides your local services. We strive to make Sileby a better place to live, work and play. Our website includes a wealth of information about how we conduct business and what we do. Use the search or browse the site to find whatever you are looking for. If you can't find the information you require then please contact us. 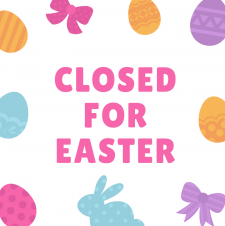 The Parish Council Office will be closed on Monday 22nd and Tuesday 23rd April 2019 for Easter. Leicestershire County Council are delighted this year to be able to offer some very low cost training to providers of Summer Holiday Playschemes/Clubs aimed at increasing knowledge, skills and confidence in the inclusion of children with special educational needs and disabilities. Workshop 1 – Offers practical ideas for making your environment inclusive, considers best practice for inclusion and examine ways to break down barriers. To be delivered by the Pen Green Centre. 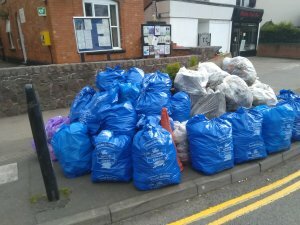 These were just some of the bags that were filled over this weekend for the Sileby Spring Clean Up. A total of 78 bags were filled, including large unbagged items such as Wood, Signs & Cones. Many thanks to all the volunteers that gave their time to do this, and also to "The Green Place, who supported them by collecting the Litterbags from across Sileby where Volunteers left their Litterbags. HTML5 validated. WCAG compliant. Page generated in 0.1028 seconds.